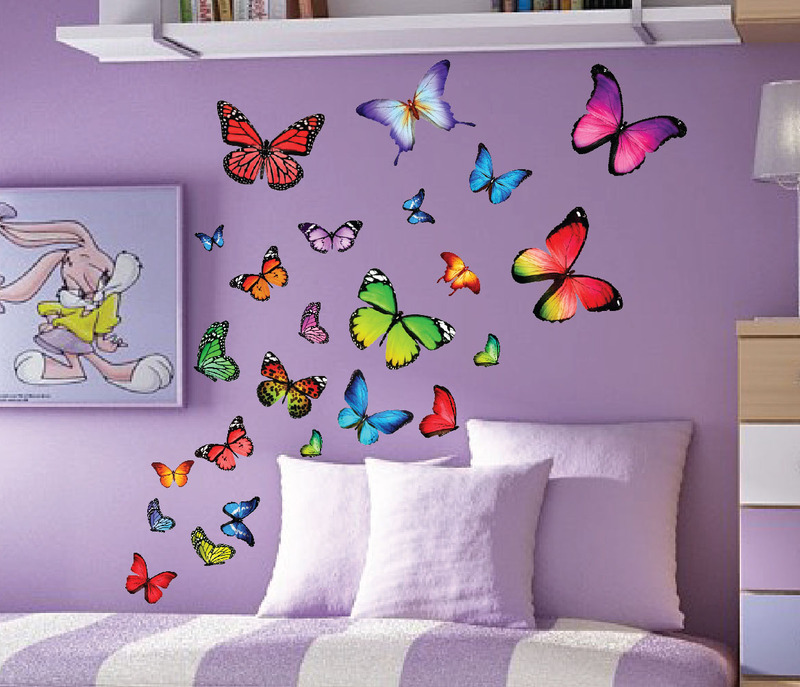 Click the button below to add the Colorfull Butterfly Nursery Kids Wall Decals Set of 40 #3002 to your wish list. Butterflies range is size from 3" x 2" to 10" x 9"
These butterfly decals are beautiful. The colors are vibrant, and the decals themselves are fabric rather than plastic or 'sticker-like', so they're durable and don't stretch out of shape. I repositioned a number of them with ease, and there was no problem with loss of adhesion. They have lit up my kids' room. Highly recommended. Great customer service. And very high quality product. It was very easy to apply . Looks amazing on the wall.